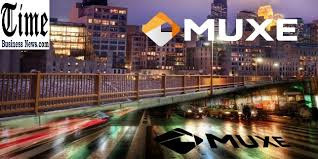 MUXE is a decentralized P2P platform that facilitates its users with all their REAL ESTATE needs. From buying your dream house to getting a pest control done, its all provided in one place for you. The platform uses its very own cryptocurrency named MUXE for all the transactions that make them secure, private and convenient for everyone. The platform uses Virtual Reality apps that makes it extremely easy that even the average users can easily find what they are looking for. The P2P (Peer to Peer) communications and transactions make it more convenient and secure for both parties. MUXE’s vision is to become the only one-stop platform for all real estate products and services and integrate blockchain technology for all real estate related industries in the world, to make it fair, accessible, transparent and trustworthy for everyone.